Hyosuke's destiny? To what? To suffer like the small girl did right now? Ryohei had crouched down in front of her, hugging her tightly against his chest, trying to calm her down with a human presence. He rubbed her back and hushed her. "Don't worry, everything will be fine. Close your eyes and breathe in and out slowly. Try to relax." he mumbled, for once not screaming. He stopped right in the track of his thoughts. He had a healing jutsu, that worked fairly well. He could maybe use it on the child. "Tamiko-chan, I could try to heal you. If you are alright with it, I could try to stop the bleeding." Then, he looked up towards Surpentheon, glaring at him. "Surpentheon! Shouldn't you take care TO THE EXTREME of your student when she's in distress?!" If there was one thing he knew for sure, it was that the teacher was responsible of the student's wellbeing and right now, he didn't see the man bothered with Tamiko at all. It angered him, so to say. Surpentheon heard Draco and instantly looked down to heard Ryo speaking. But Surp's eyes caught sight of the blood coming from Tamiko's eyes and drowned it out. "Tamiko!" Surp's right foot raised off the roof he was standing on about an inch or two then came down to tap the roof. That little effort suddenly made Surp fly backwards off the roof and down onto the ground skidding to a halt by Ryo and Tamiko. "Quick, hand her to me." Healing jutsu wouldn't stop the effects of her bloodline, but Surp could at least sooth her and help take the pain away physically. His hand began to glow blue as his thoughts were only on Tamiko. As Surpentheon disappear from her view Mari chuckle as she view the scene of the little kid finally in clear sight. 'So another one has been born the bloodline of Asako Hyosuke... I wonder if she is meant to be the next leader of Hyosuke clan someday' She thought as she finally hops down beside everyone. "So Surp, do you need any help with this process? 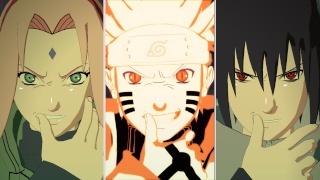 After all I still have some of the excessive chakra inside of me." She told him this as she look over towards Ryo nodding once at him before returning her attention towards the young girl in Tmiko's hands. What was it call again? Before her breathing sound normal in Surp's arms as she slept with a soft smile on her face feeling completely safe but still not liking the darkness that now surrounds her eyes as well. Surp had a lot to teach her as she started on her shinobi ways. Ryohei grinned sheepishly at the compliment Tamiko had whispered towards him. An embarrasing blush had crept on his cheeks and he scratched the back of his head. "You're welcome, Kiddo." he answered, not really taking in account she had just fainted. Taking a few steps back, he watched Mari (he just remembered the lady's name) and Surp, trying to stop the sufferings of Tamiko. He felt rather useless and was tempted to turn around and leave them be. Surpetheon hadn't shown any sign of sympathy to him; Ryohei was smart enough to understand that with adults it meant they wouldn't or talk to him in any deeper matters or even consider him as an ally or at least a non-threatening person. In all honesty, it saddened him, because a deep admiration for the red haired man had already grown in his heart. Ryohei shook his head. He wouldn't back off, real men never backed off nor deviated from their chosen path. They went head on and kept on working hard! So, he stayed there, watching Surp work on Tamiko, his hand glowing of a soft and calming blue, waiting for him to be asked to speak up again or asked for his help. Unconsciously, he had placed a hand on the dragon's side, sort of giving himself a physical support. He wouldn't ever admit it, but seeing the kid in pain and faint had shaken him. Hi, my name is Nastume Izumi! 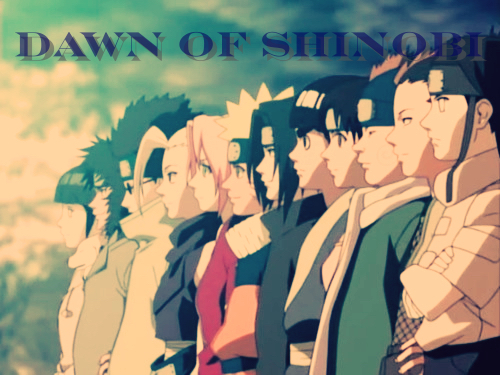 I'm a genin ninja in the village of Aurora and want to say its a grand pleasure to have you as our kage! Thanks for all you do! I have heard about your program for taijutsu specialitists trainings from my adopted mom and I must say I am interested! Is there any way I can arranged a meeting with you to speak about enrolling in such a thing? It was a short letter indeed that reach the kage in a way of magic almost, its hand signature on the was indeed from him. Natsume was hoping that the kage wouldn't turn his wishes and dreams down the drain like all the other teachers he approach in the past before. Ryohei blinked at the letter in surprise. It was already a surprise that someone had already found him back while he didn't even know how he had arrived out of nowhere in Blood Village, only because of a whim from him running after a dragon. He eyed Surpentheon and Tamiko. He was worried about her, of course, but right now, he had a student of his own village to take care off. So, before they could ask him anything, he wrote quickly a letter down for Surp and gave it to the dragon, asking him politely to give it to Surp once he had some time again. I have an EXTREME urgent matter to take care of in my village. May we meet again. Give Tamiko a pat on the head and lots of courage and EXTREME feelings from me. His handwriting was sloppy, limit dirty but it was readable. I shall wait for you in the mountains near the village of Blood. Let us meet there midway. Be careful TO THE EXTREME! Again, no formalities, but who cared. He gave the letter to the messenger who 'poofed' away and then ran out of the village, towards the mountain. Surp sighed in relief as the tendrils of his chakra slowly receided from Tamiko. His hand slowly losing it's bluish color. Tamiko would be fine for now. "She's fine." he said as he sat back and onto the ground. The dragon eyed the vanishing kage and looked at the letter it was given. "That man is odd." he grumbled. "To the Extreme." he looked up at his master but decided to wait a bit more till he gave him the letter. Sleeping away some more Tamiko just rested in Surp's arm's. She was having a nice dream and didn't want to wake up yet. In the meantime Mari just stare at Surp and the girl in his arm's as she smile before her smile vanish. "So Surp, what is in the future for you as your plans?" She question him as she stand there figuring he had the time to answer some questions of her own. "You know me Mari, i go where life takes me, like wind. But one things for sure, i must help this girl in any way i can. And it all starts at Suna." he said as his eyes finally left Tamiko to look up at Mari. "Why so interested in my future Mari? Is there something you need help with? Or maybe something you don't want me around for?" his gold eyes seemed to be as dagger-like as always. Always piercing and looking deep into a person and through them but in such a smooth way. Like the aroma of a rose slowly draws you to it's source. Looking into Surp's eyes she grins funny. "Well I was just wondering if you had time to stick around, after all I just took over this village be nice to have some company around for a bit. She pause glancing at the girl as she recall's what he say to her just a moment ago. "Only since you do have plans at Suna I guess you can't stick around." She say as she sat in front of him just staring into his gold eyes with her crimson red eyes. Only thing that she didn't know was soon her eyes would turn towards a light lavender color when her new bloodline that will be rewarded at the end of her training from the bat's. "Perhaps after i visit Suna, i can come back and visit." he said as he looked back down at Tamiko as she steadily slept and dreamed. It's been so long since he'd opened up this much to anyone, it was a good feeling though. Nodding slowly she understood what he meant exactly by visiting it. "I'm sure Asako will still be happy to see you." Mari manged to say before her eyes widen as she started mumbling in some weird tone, "Not now not now.... Stay yourself Mari." As a sight twisted smile started to show on her face she slapped herself in the face to get control of herself. Watching him leave as he forewarns her of precautions she sighs a relief as another mumble in a forgein language comes from her, "That was to close... time to go and take care of some things in private matters. Such as controling whats tiying to control me." She walks away as the sky's turns dark eyes were watching her it seems thorough she didn't know at that time. In the mist that creeps over the barren streets, two being appear inside the mist, unable to be seen or sensed as they were within just a single drop of moisture that floated with the rest. Their signitures masked expertly by Shadow, he wished no one to know of their presence, that is except one. The only one who would know he had arrived would be the one he came to investigate, the girl who inside is a demon herself. Shadow kept his cloak over Youji as his wandering eyes peered throug the mist taking in everything it could see, who was around how many, where they are, everything. Then he looked at Youji. "It's not here... Hmm... Interesting, we missed it." well they appeared somewhere, he didn't really remembered the place but it seems that their target wasn't in this place, but what are we looking for, better said for who are we looking "Master, what exactly are we looking for?" He looked down at Youji, his eyes showing great disappointment, as if he expected Youji to know already. "We are looking for someone with a demonic aura. My guess is, that it may still be dormant within them, that's why it's pull is not yet strong. Whoever it is has a great chance of becoming someone very powerful in dangerous ways. Of course Youji, such a person could find uses working under me, i plan on recruiting this person." the last bit held a strange tone, a threatening one. Youji knew that those his master showed himself to was either recruited, or eliminated, there was no inbetween that he had seen yet. Shadow continued to look around through the mist, the person couldn't have gotten far, he would find them. "So a new member, huh? Well this should be interesting" but how strong was that person? even if that person was a demon, he wnated to know if that demon was strong enough to serve his master "Master what happens if i engage in a fight with that person and he or she dies?" Laughing briefly, his red eyes fall to Youji. "I love your enthusiasm Puppet, but you yourself should know that strength comes through serving me. In fact, soon your strength is still yet to increase." he spoke this last bit in anticipation. He loved to do work on Youji, for he was his living experiment. "I know that master, cause you are my source of power, But i still want to test this demon you talk about to see if it's worthy of serving you" He would do anything his master said, even if it means his extermination, but that was the hardest thing to do at him. And he just wanted to be sure, that those who serve his master are no low level ninjas, that they are worthy of doing so. "Very well my Puppet, you may test the person, but only to help me assess. If the person we seek is weaker than i think, its use is of little concern to me, then you may kill it." with that, the appeared on solid ground. "Understod Youji." "Thank you for your understanding master" as they appeared on the ground he made a small bow. "Now where should we go?" Shadow closed his eyes and a brief peek in his chakra was felt, but there was more than just chakra, an ominous aura surged with it. It lasted about another minute when Shadow's hand rustled in his cloak and rose to point down the streets. "That way Youji. We shall proceed slowly. I want the person to know we're coming." with that, Shadow began to walk through the mist.